I’ve just spent the week in the USA just outside of Boston for a sports technology conference. After some scouring of the web I discovered William Gleason Sensei’s Shobu Aikido dojo which seemed like too good an opportunity to miss and get a taste of something quite different. Fortuitously following the conference Gleason Sensei was running a weapons seminar. With a lift from Lowell by dojo local Hugh I arrived in good time for the start along with a dozen or so others. Gleason sensei is regarded as an authority on the internal power aspects of aikido and while, sadly, I didn’t get to his internal power classes – it oozed through the seminar with quite a few insights in this direction that inform and round out what I have learned from the Daito-ryu and helped make some sense of the writings on aikiweb too – though its a long way to go. Its always mentally tough to learn weapons, especially outside of one’s usual school, none the less towards the end of each class I seemed to find my right foot (I had 2 left feet most of the time). 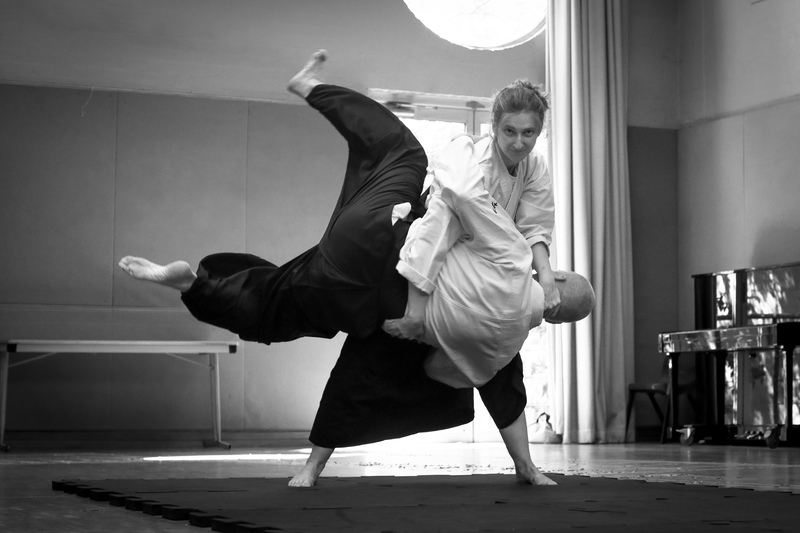 Beyond the differences, are common principles and viewpoints on ‘power’ and ‘aiki’, for me it reinforces much in our own school, and lends new ways to explore already existing weapons kata, with and without a partner, with benefits to be had for the open hand arts as well. Sensei mentioned he maybe coming to Australia next year, so perhaps there are some opportunities to check in on progress.